A WhatsApp message promising "50GB of free internet data in any mobile network for 60 days" keeps doing the rounds in South Africa. There is no free data after you send the message on to other people, only a series of "surveys" that tries to separate you from your money in a variety of dubious ways. 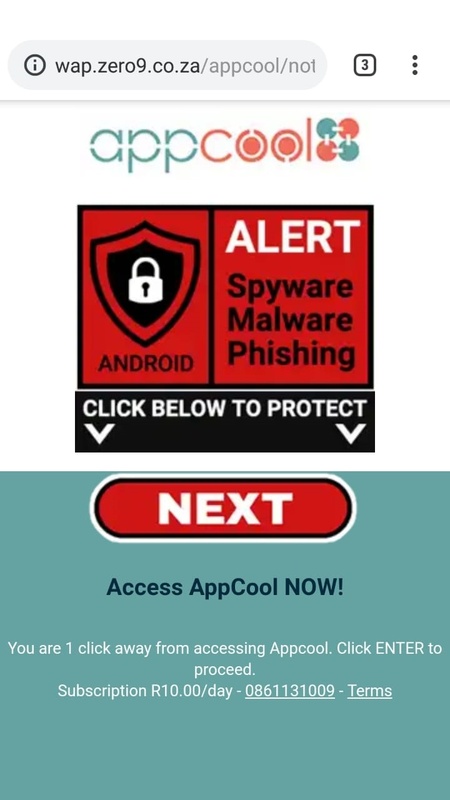 Unlike similar scams, though, this one carries a potential cost of R3,650 a year thanks to an "anti-virus" subscription service. 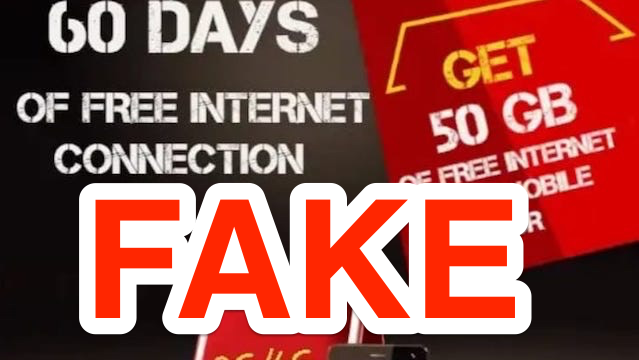 Despite the promise in WhatsApp messages going around, the "Superfast4G" website will not give you 50GB of free data after you share its marketing message with friends. Instead you could end up paying R3,650 for a service you almost certainly don't need. 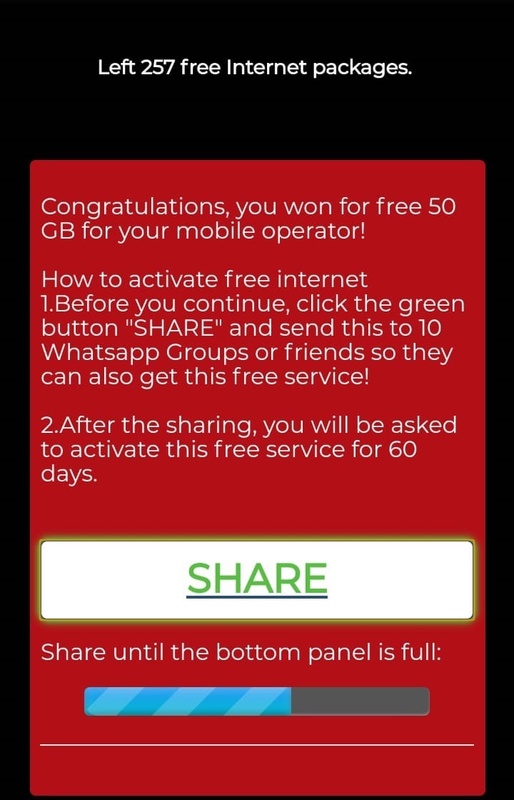 The Superfast 50GB message is persistent variation on a by now fairly standard WhatsApp scam that relies on people spreading the word to friends, and then tries to convince them to click on a range of dodgy advertisements. 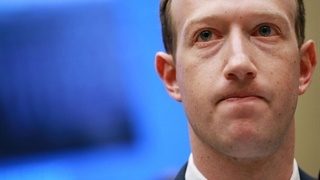 That message has been doing the rounds for some time in South Africa, but recently appeared to pick up new steam, with Business Insider South Africa receiving a dozen copies of it on Monday. If you were to click on that link, here's what happens. 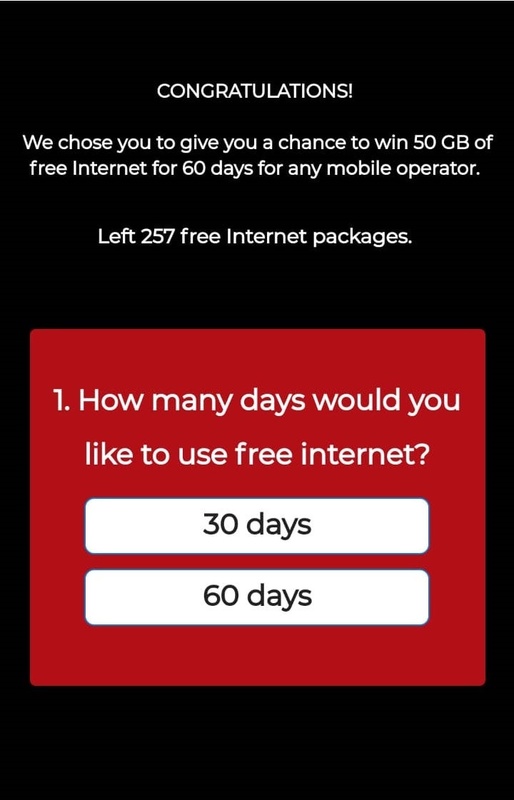 The "Superfast" website promises 60 days of data for any network. 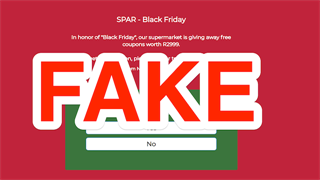 Unlike more sophisticated online scams, the site does not identify the mobile network of the user, and is not localised to convince South Africans they will get data on Cell C, MTN, Telkom Mobile or Vodacom. 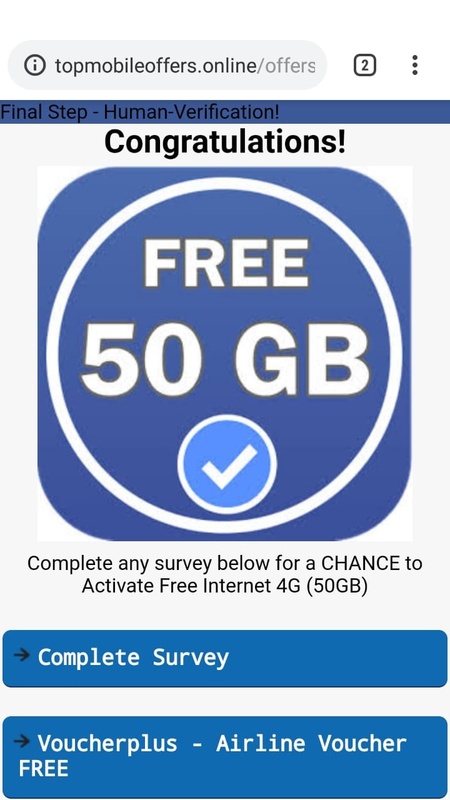 The site presents a short, fake survey. The answers are not recorded, and there is no competition element as the site suggests. Everyone who completes the survey 'wins' – but you have to share a promotional message for the contest before you can collect your prize. 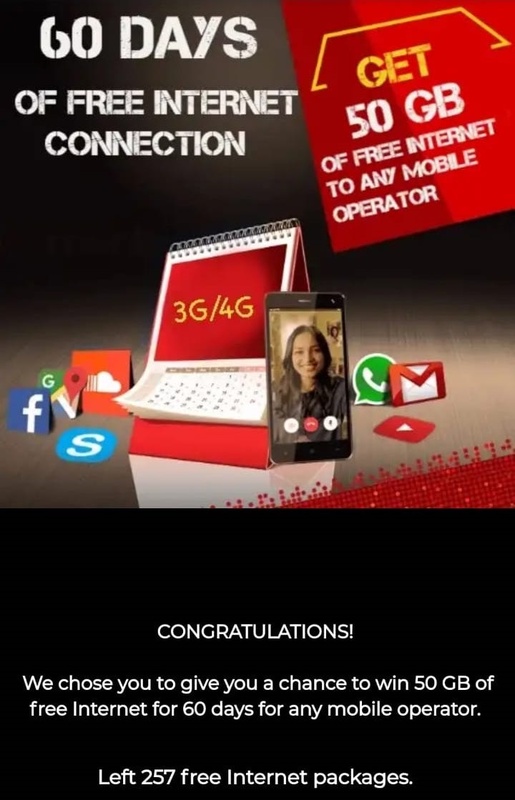 Share the message enough times, and you get the chance to... take another survey in order to claim your prize. Some of the surveys attempt to collect personal information. Others are simply ads for a variety of dodgy products. 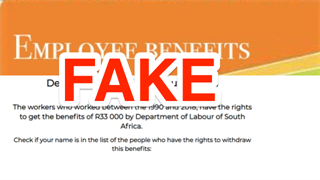 The scariest of the products we found linked from the Superfast scam could cost you R3,650 per year if you agree to pay R10 per day for an "anti-virus" subscription service.